The Carpatho-Rusyns in Europe live in historical Subcarpathian Rus', or Ruthenia, which is now the Transcarpathian Region of Ukraine. In Slovakia, they live in the northern part of the country known as the Prešov Region. The estimated number of Carpatho-Rusyns is 1.6 million worldwide. Carpatho-Rusyns belong to the Slavic branch of Indo-European peoples. Their languages are classified as East Slavic and are closely related to Ukrainian. As the mountainous landscape in Carpathian Rus never allowed for extensive agricultural production, Rusyns were usually poor and forced to survive by leaving their homeland and working in neighbouring countries or regions, making them a primarily diasporic ethnic group today. Carpatho-Rusyns have been ruled by several States throughout their history, such as Hungary, Czechoslovakia, Slovakia, Poland, the Soviet Union, Ukraine and Russia. While in the past, the endonym Rusyn has frequently not been recognised by governments or even prohibited, today, Slovakia, Poland, Hungary, the Czech Republic, Serbia and Croatia officially recognise contemporary Rusyns as an ethnic minority. 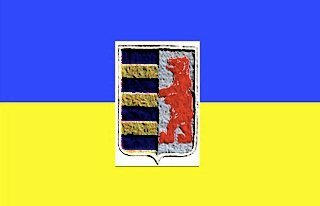 During their UNPO membership the demands of Carpatho-Rusyns were not political but rather cultural in nature, with their basic aim to see Rusyn recognised as a distinct nationality and to have the Rusyn language used in schools, the media and in other fields.